Wine shouldn’t be for investment. Should it? Wine shouldn’t be bought for investment; it’s for drinking. And no wine should ever cost $1,000. To which I’d respond, why not? I guess it depends whether you accept – as I do – that the laws of supply and demand are as inescapable as the laws of time and gravity. Some things are rarer and more desirable than others. the greater the rarity and desirability, the higher their price. And an object – such as a bottle of wine – on offer at an unthinkably high price today, will more than likely command an even higher one in the future. 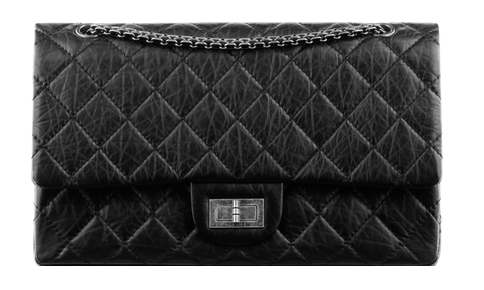 you could have bought this Chanel handbag bag for $2,700 in 2010. For most people, that’s a ludicrous price. But so is the $4,400 the same bag commands today. So who is the fool? The woman who has quietly made a 63% return on a four year investment? Or the people who’ve been struggling to get bank interest rates of 5%? We could look at all sorts of other examples, ranging from designer dresses to classic cars – up in value by as much as 257% between 2005-2013 and, of course, the kind of London property owned by the same people who decry the crazy rise in the price of fine wine. Stated bluntly, if you don’t want the cost of a bottle of Burgundy to reach four figures, you’d better embrace a world in which the value of your home is pegged at the price you’d get for it today.